When our new baby was born, I called my mother to ask her to come stay with us over the weekend. Baby made her debut the day before Mother’s Day, and my mom arrived the following Friday with my younger sister in tow. Are there many things more awesome than having women in your family who drop everything and change all their plans to scoot to your side when you need them? I ask you. 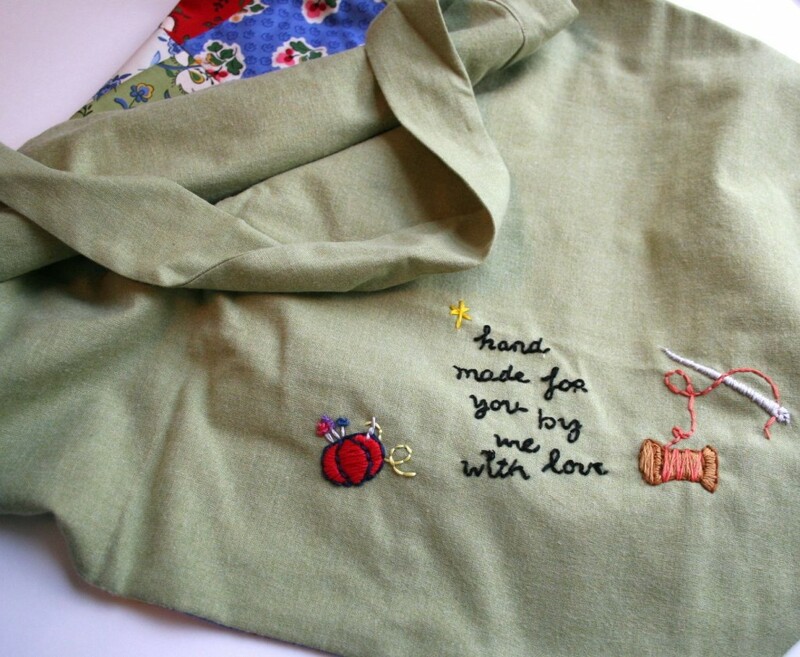 I’ve given Mom a number of aprons the past few years, but this was the first I embroidered, and possibly the first done on time. I’m fairly certain both of them read this blog periodically, so ladies: thank you both for being so good to me! See? I totally made you some stuff. This week’s small project? Getting to the post office. 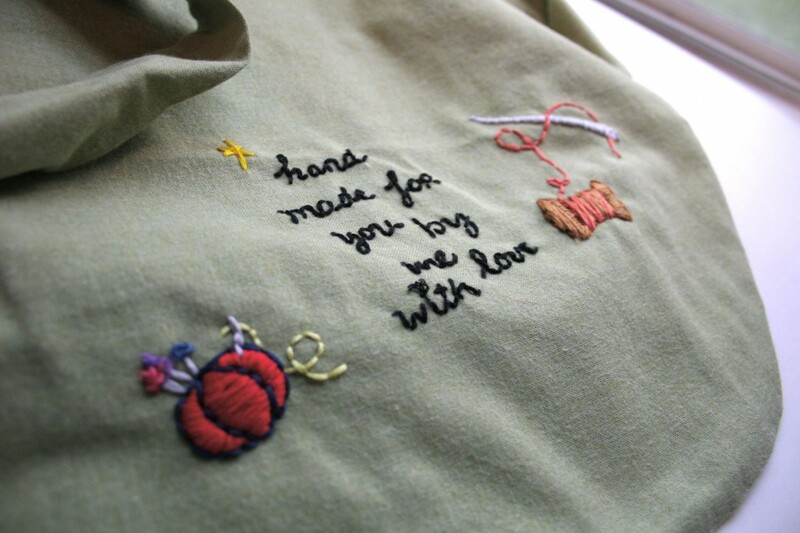 ← Dear French Knot: I Take Back All Those Things I Said About You. oh wow. that’s amazing embroidery work! I love the apron! 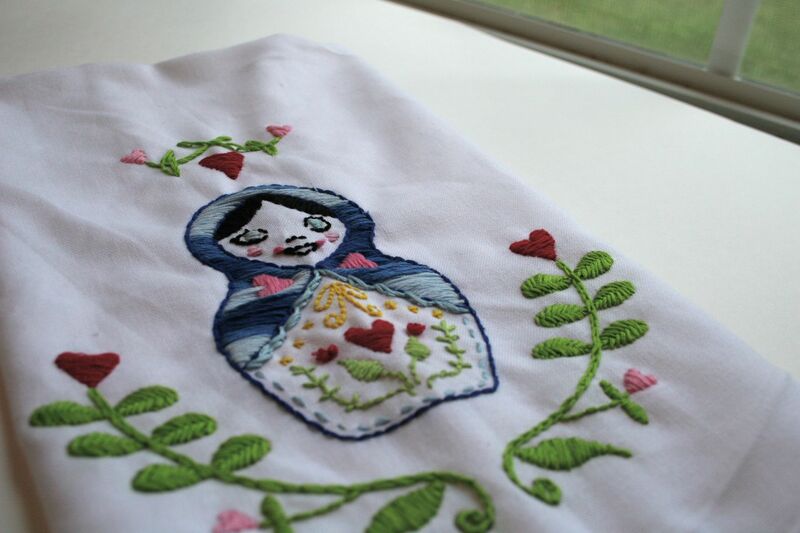 And your grandmother will have a cow when she sees what great embroidery work you’re turning out. I’ve worn ALL the aprons you’ve made me, but I really need one with a bib. 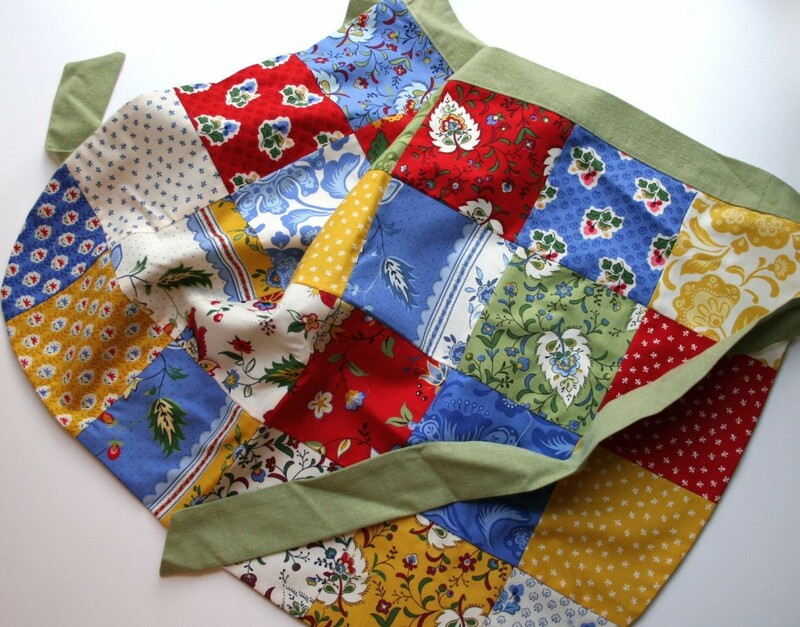 Can you button a bib to this delicious patchwork-I’m-really-living-in-Avignon-and-smelling-the-lavender-fields one? I’ll pick it up on June 24 when I come to Moebes Motel before flying to see Miriam.